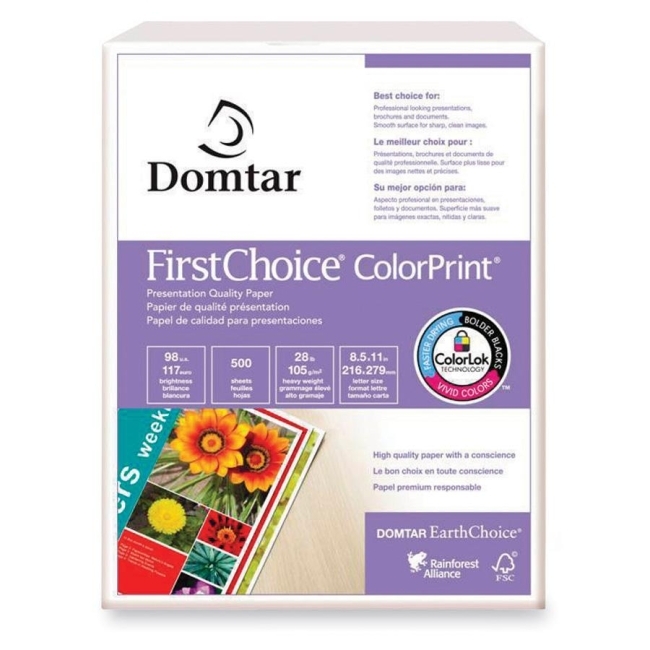 Domtar 85283 First Choice Copy Paper - Letter 8.50" x 11"
Presentation-quality paper is designed for reports, high-end proposals, presentations and professional correspondence. Optimal print surface and stiffness deliver vibrant colors, crisp blacks and outstanding print quality. Compatible with copiers, plain paper fax machines, multifunction printers, desktop laser and inkjet printers, and offset printing presses. Acid-free stock.